The Peach truck usually comes to town 2 times a year but due to a harsh winter in Georgia resulting in a poor crop they will only be hear this once. Hundreds lined up in front of Rural King to buy a box or more of the Georgia Peaches on June 9, 2017. 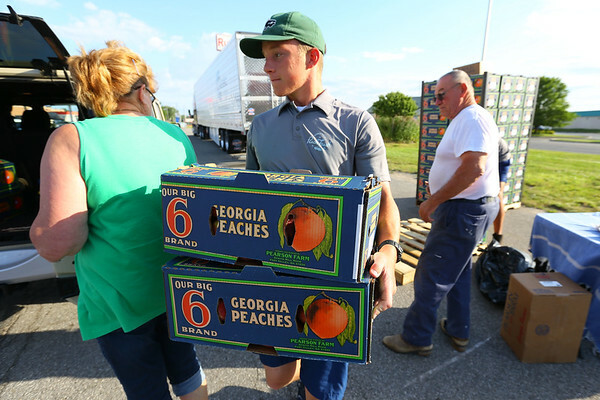 Preston Haley hands out the boxes of peaches after they pay.